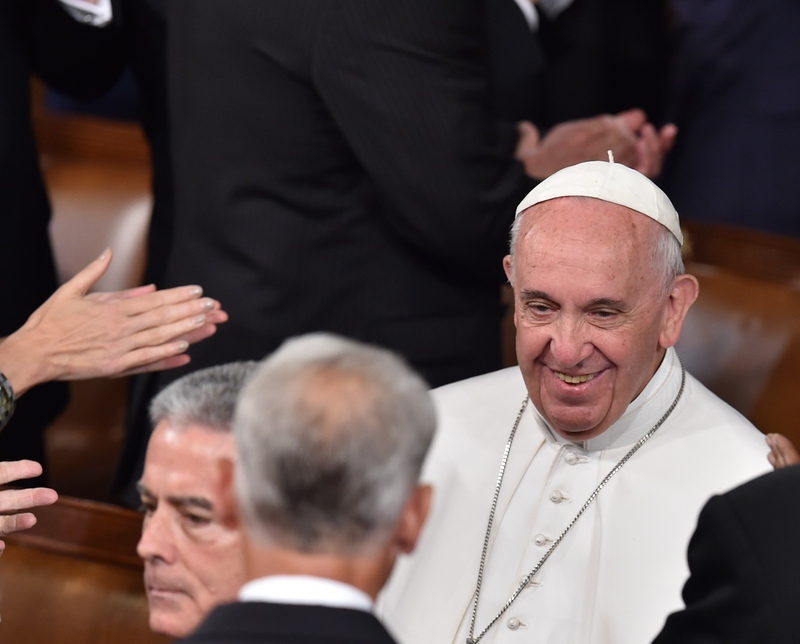 For nearly 20 years, House Speaker John Boehner has been asking pontiffs to visit Congress. And this week, not only did Pope Francis visit Capitol Hill, but the House Speaker also got to have a brief meeting with the religious leader before he addressed a joint session of Congress Thursday. That could be why Boehner had clear difficulty hiding his emotions during the Pope's speech. As Francis delivered his powerful address to Congress, the speaker was seen crying almost within seconds. Boehner, who is Catholic, told Politico earlier this week that he and his 11 siblings attended mass nearly every morning during his childhood in Ohio. He said that finally having the opportunity to speak with the Pope would fulfill a long-cherished dream: "It will be pretty awesome. I hope I’ve got more to say to him than he has to say to me. He might have a message for me." And Pope Francis did in fact have a clear message for Congress. In his televised remarks from the House Chamber, the Bishop of Rome called on members to bridge the deep ideological divides between them and embrace a broader commitment to justice. If we want security, let us provide security. If we want opportunity, let us give opportunity. The yardstick we use for others will be the yardstick which time [will] use for us. The speech was one of the most high-profile and highly anticipated stops on the Pope's U.S. tour. And members of Congress were urged by House and Senate leaders to be on their best behavior during the visit. In a letter sent to all members before the address, lawmakers were asked to "refrain from handshakes and conversations along and down the center aisle during the announced arrivals." Indeed, the Pope's powerful words — and the once-in-a-lifetime opportunity — clearly made an impact on Boehner, who was observed weeping throughout the pontiff's address.